Governor Larry Hogan has ordered the United States Flag and Maryland State Flag flown at half-staff on Tuesday, June 20, 2017, from sunrise to sunset. The flags are being lowered in memory of Army Sergeant Eric M. Houck, of Perry Hall, Maryland. Sgt. 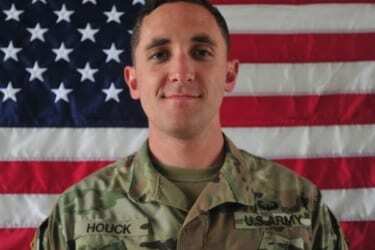 Houck died on June 10, 2017 in Nangarhar Province, Afghanistan, in support of Operation Freedom’s Sentinel. Two other soldiers were also killed. Sgt. Houck graduated from Perry Hall High School and leaves behind a wife, Samantha, a 5-year-old and a 3-year-0ld. A GoFundMe page has been established to help the family.